Good morning, dear friends in social studies and civics. Today, let's highlight the keynotes and special events. 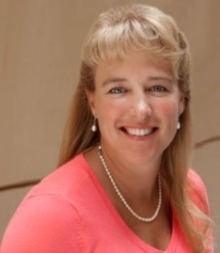 We have referred to these in prior posts about the conference (here and here and here, for example), but let's talk about them a bit more today. And of course be sure to register for the conference here! Friday, October 19, 2018 So Friday will be fun! 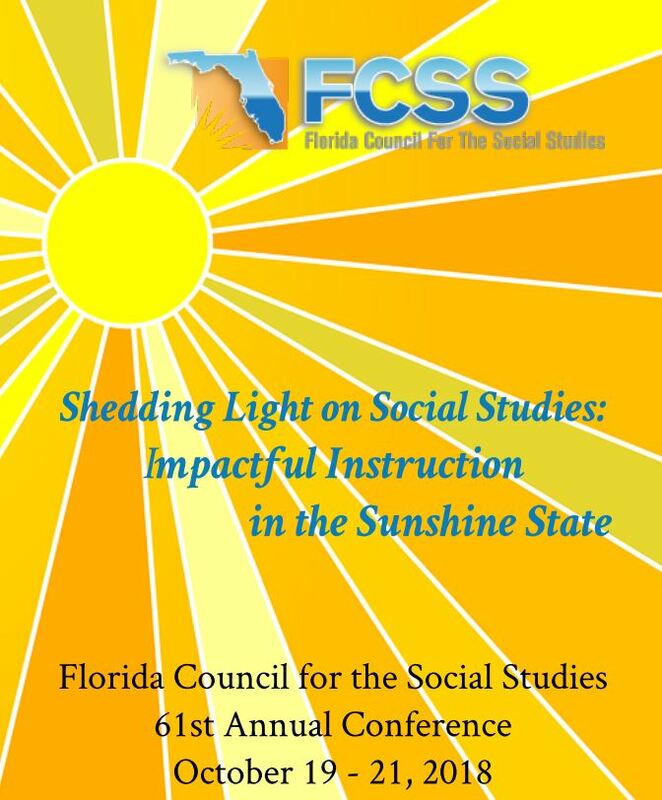 Friday evening, there will be a reception open to all attendees to get us into the 'Sunshine State of Mind' and celebrate the great work being done with social studies in the state. The reception will be in the Heroes Ballroom at the hotel/conference center, and there will likely be some excellent food and drink available to enjoy as you mingle with colleagues, make new friends, and connect with some of the sponsors and vendors that will no doubt be attending and offering you some stuff! And to make it even more fun, folks are asked to wear something that represents key events,. people, or social or cultural aspects of this state of ours. 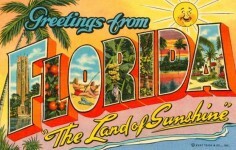 Let's show folks that there is more to Florida than Disney! It's time to have some fun! 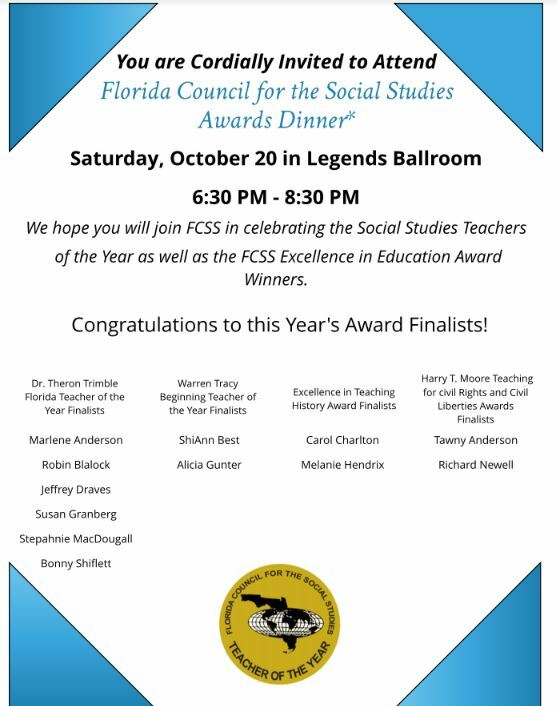 Join your friends and colleagues as social studies educators from all levels of instruction and from across the state are recognized for their hard work and leadership! This will be in the Legends Ballroom, from 6:30-8:30 PM. Sunday, October 21, 2018 Brunch Keynote The Sikh Coalition has been generous in providing a keynote speaker for Sunday Brunch. 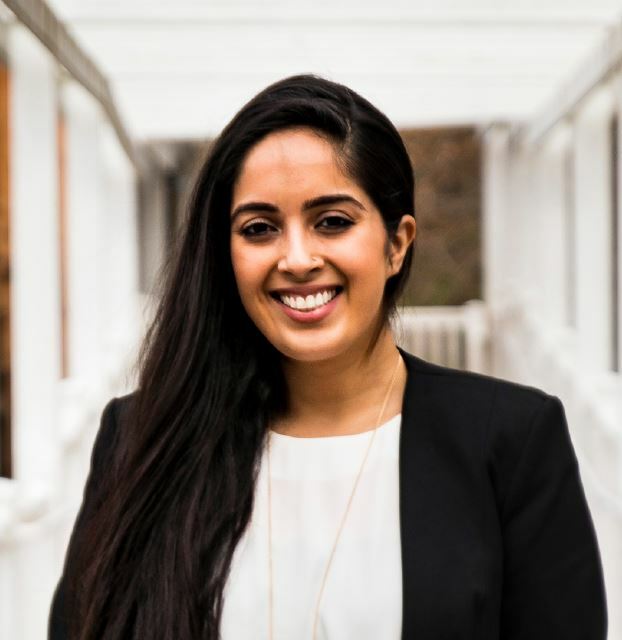 Satjeet Kaur, Executive Director of the Sikh Coalition, will talk about creating a healthy and inclusive classroom and provide us tools that we can use to do so! In the current climate that sometimes can boil over into our classrooms, this is something I think that we all can find useful!